Water is needed by our body for maintaining homeostasis and good heath!Homeostasis means maintenance of normal internal body systems. Although there is no specific standard quantity of daily water intake, as it varies based on individuals, their routine and health, certain guidelines would help ensuring that you’re having sufficient hydration. Insufficient water intake can result in various damaging affects on our body including hypotension, affects on kidneys, constipation, etc. It’s not simple to answer that how much water should we drink every day? There have been various studies over the past years on how much water intake is optimum, however the truth is that it can’t be defined as such as the amount of water required on daily basis depend on many factors including activity level, geographical location, heath of an individual, etc. Knowing your body in detail and its fluids need can help us estimate how much water to drink each day. Our body is made up of almost 60% of water by weight. Every system and organ in our body is dependent on water. Well this can include a long list of issues. Lack of water leads to dehydration. During this condition there isn’t enough water to carry out routine functions in the body. Even mild dehydration causes tiredness as it drains the energy and disrupts the normal functioning of the body. We lose water from the body all the time through perspiration and breathing along with urine and bowel movements. 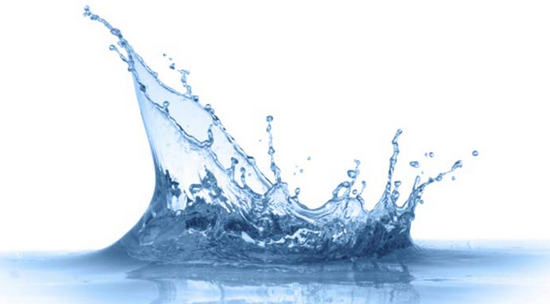 Replenishing this lost water is necessary to allow the body to keep functioning properly. This water can come directly as pure water intake or by consuming water containing foods and drinks. (Avoid toxic ones like pepsi, coke, packaged milks, etc. though). How much fluid do we need everyday? So as we lose water all the time from our body, how much water do we need on daily basis in a temperate climate? It’s recommended to have around 3 liters of total fluid via direct water or foods in whole day. For women the adequate intake (AI) is 2.2 liters. Wasn’t it 8 glasses a day? Well we usually hear having 8 glasses, almost 2 liters of fluid daily. As said earlier, the exact water requirement varies from person to person. However, 3 liters is much more recommended for temperate climates than 2! Having 2 liters of water by fluids directly and the rest 1 liters by foods, soups, curry, etc. is fine too as the total daily water intake depends on all fluid ingested overall. Remember that clean tap water is the best source of hydration usually but you may get benefit from the beverages or drinks or foods containing water in them. However make sure that the diet and fluids you take aren’t toxic like anything containing sugar (unless advised for you by doctor, which is highly unlikely) like pepsi, coke or other toxic drinks along with packaged products like nestle milk, juices or other companies similar stuff. Also avoid the packaged water bottles, specially the ones containing sugar and preservatives. If you have any query related to water requirement of our body or any feedback please let me know through comments.